Here we have my FX-9590, 32GB DDR3-1866 RAM, Asus Crosshair V Formula-Z, Firepro W-7000, "can do everything I throw at it", AMD machine. I have named it P-22 Panthera, after the Lepa Aqua Changer, the 140mm Cougar fan, the PNY “flaming tiger” CS2111 480GB SSD, and my neighboring IRL big cat, Griffith Park's own urban puma, P-22. 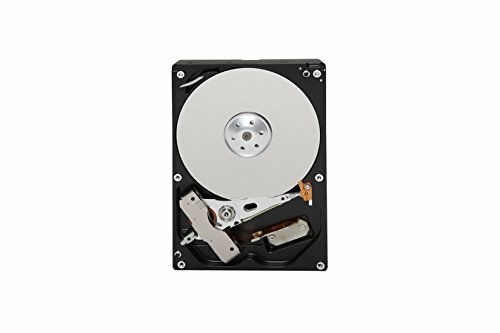 The 1TB 7200 RPM Seagate Barracuda and the 5TB 7200 RPM Toshiba hard disk drives are for long term storage, and the 480GB PNY CS2111 solid state for fast temporary storage of files. Windows 7 Professional, and most of the program files are running on a 256GB Transcend340 solid state drive. 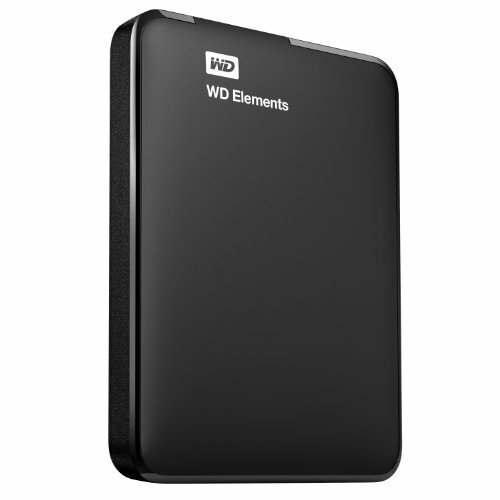 I also have a small 2TB WD Elements external hard drive to transport files. I can live my "leave everything running at the same time, work and play at the same time" lifestyle, due to the fired-up 8 core FX-9590 processor, and the fast PNY 'XLR8' 1866 CL9 RAM. The processor stays “cool” (27-31c idle, low to mid 40s full load) thanks to the Lepa Aqua Changer 240 (exhausting out the top), and everything else stays relatively cool with the four (140mm front, 120mm front, 120mm bottom intake , 120mm rear exhaust) case fans. The fans on the Aqua Changer are a bit loud, but I keep them turned down to an acceptable level... plus, these fans revving up to 100% while booting means this beast literally roars to life. 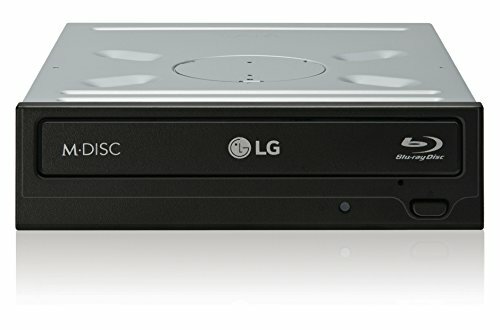 Programs and games install from an LG 16x Blu-Ray Burner; and I can watch 3D Blu-Ray movies thanks to it and my HP 2311gt monitor. The Corsair Carbide SPEC-02 case is the perfect height to align my monitor with a wall mounted HDTV for a two monitor 1080p setup, the interior room fits all the components, cables route behind the MB, and air easily flows through the case. 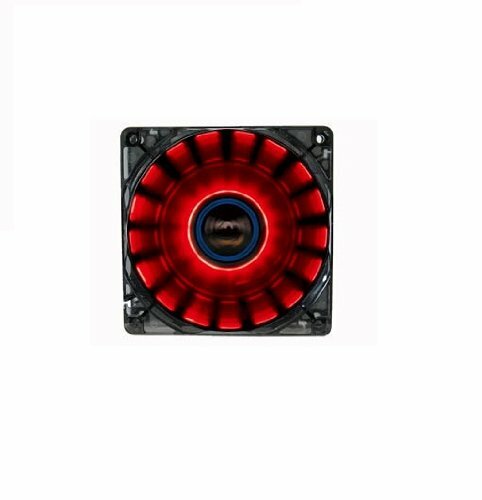 The side window shows off the traditional AMD red and classic black colors of the Crosshair MoBo, and FirePro VC; and the industrial style of the Lepa cooler, and the PNY XLR8 RAM; as well as the pulsing LEDs of the Lepa Chopper fan. An unforeseen plus of the case is that it places the Aqua Changer's radiator in front of the insanely bright red "start button" on the motherboard, so, while still having room to easily reach the button from below, it allows the Aqua Changer's deeper red LED to really stand out. You can also easily read the 2-digit, Q-Code LED on the top of the MB through the top grate of the SPEC-02 (the 30 in the photo is it coming out of sleep). The case does have slippery, hard plastic feet; but, I was able to fix that with a pack of #211 O-Rings from Home Depot, which fit perfectly in the circular grooves of the case feet. 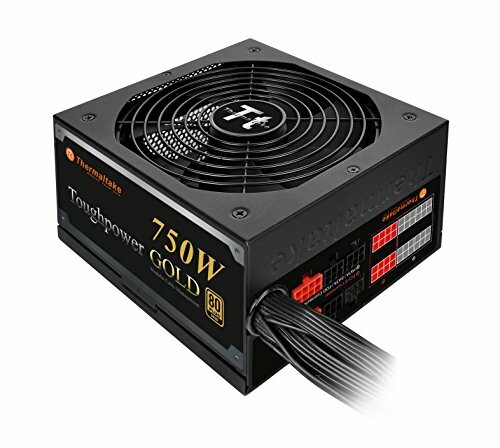 Power is provided by the semi-modular, Tough Series, Thermaltake 750W 80+ Gold Certified PSU. I planned the build, assembled the parts right out of their boxes, and everything worked like a dream... reliable, with no problems or cooling issues. If I decide to throw more money at it, I might get a 4K monitor, another W7000 to crossfire workstation graphics cards, or liquid cool the W7000 with a Kraken and a Corsair H55, as its high pitched fan noise can be a bit annoying at times. However, the W7000's design is slim and elegant, and its power usage to performance is sweet. Fast right out of the box, it handles the simultaneous running of multiple demanding programs flawlessly. 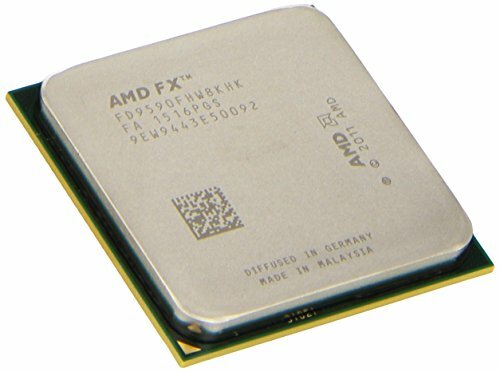 This is the AMD processor most focused on performance; and I have faith in the reliability of AMD CPUs. Never has an AMD machine died on me. My very first computer, a Windows 98 AMD Compaq Presario, STILL works. The stock cooler retail boxed with my CPU is a liquid cooler... so, I knew I needed to go with liquid cooling. 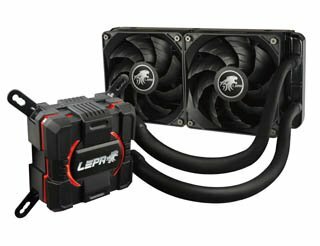 The LEPA Aqua Changer is more competitively priced than other similar coolers, has thick and durable tubing, the radiator looks equivalent to other AIO liquid coolers, and I didn't need additional monitoring software. The mounting plate and the screws don't firmly fit to the motherboard with the standoffs (or really even stay together) until the thumb screws are tightened, but, once assembled, it's solid. The included PWM Fans are a bit loud at 100%, but, when you turn them down, the sound level isn't bad and the grooved blades (similar to a Cougar fan) work great! It's keeping my FX-9590 27-30c at idle and mid 40s at heavy load. The waterblock/pump has a more industrial style than most AIOs, with a pair of deep red LED “parentheses” (matches my Asus MoBo). 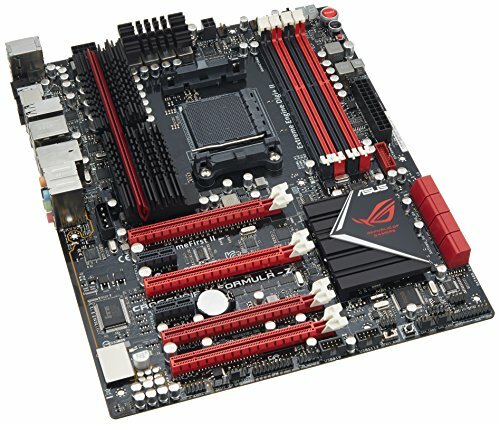 It is an older MoBo. But, I was worried about the power needs of my FX-9590, and this MB has both an 8-pin and a 4-pin power connector. Booted up perfectly the first time and every time. It has 8 fast Sata6G connectors for HDDs, SSDs, and optical drives. I can connect up to 8 fans, more than enough for my 6 fan case. 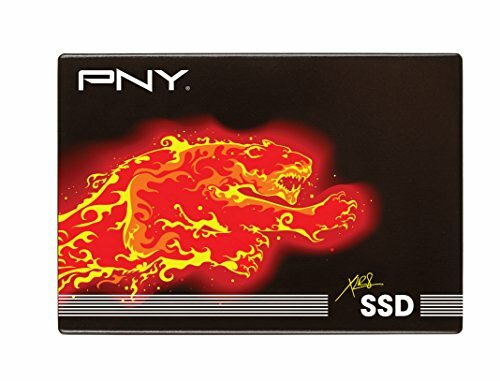 It does have two pretty fast PCIe 2.0 x16 connectors to crossfire video cards with, one PCIe 2.0 x16 running at 8, one PCIe 2.0 x16 running at 4, and two PCIe 2.0 x1 connectors for blazing fast PCIe SSDs. But, I do wish it supported PCIe 3.0, and had more than one USB 3.0 connector (although it does have four USB 3.0 ports, eight USB 2.0 ports, and 2 eSata ports). 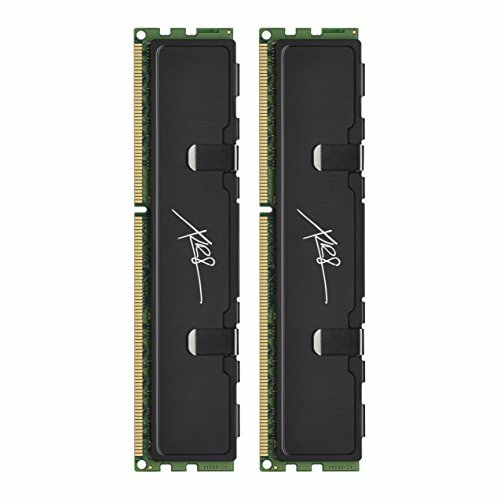 I wanted to be able to run lots of programs at the same time, and this RAM was competitively priced and on sale. AMD doesn't support DDR4, but this DDR3-1866 CL9 RAM is fast; and it has solid black, low profile heat-sinks, so it fits in my small-ish mid-tower case like a glove. It was easy to install and setup in the BIOS. It works great with no problems. I did a clean install of Windows 7 and all my program files. The machine boots in seconds and everything runs fast. 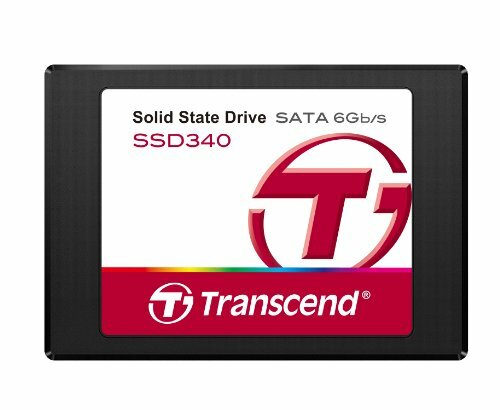 I wanted to keep my other SSD drive just for program files, so I bought this drive because its specs showed it was fast. I use it to load large files from, before I move them over to my 7200 RPM HDDs. You can open and write giant files with ease. Games loaded onto this drive run like lightning. 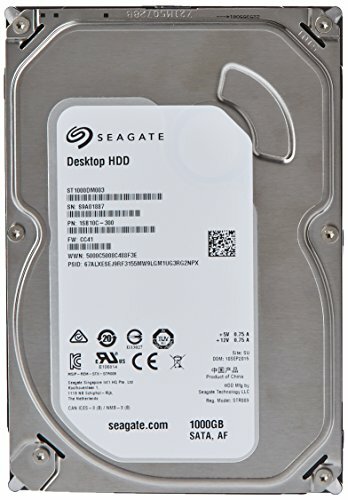 As it is the first “consumer” 5TB 7200RPM HDD, I was a little worried about buying this drive. Then I found out that Toshiba bought the manufacturers of those old Hitachi drives. I have a 80GB Hitachi drive that has worked unceasingly for over a decade and a half, so it made me feel better about getting this drive. So far, it's quiet enough, fast enough, and has lots of room. I didn't want to skimp on performance but, most importantly stability. I also didn't want to have a large card making a lot of heat and sucking a lot of power. I am already running a power hungry CPU, and didn't want to add too much to that. The slim and elegant design means I still have access to the other expansion card slots, and it doesn't obstruct the airflow in the case too much. The maximum power consumption for the card is 150W. 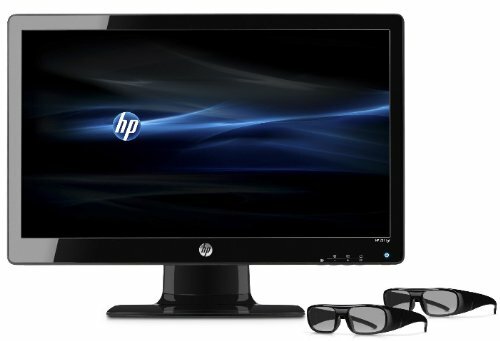 It has 4 display port 1.2 connectors and a stereoscopic 3-pin din, for active 3D and high-end monitors. I'll really have to get a new 4K display to test out this card; but, it works great with my dual 1080p setup, and everything looks a little... shinier. The only drawback so far is the annoying whine when its tiny fan really gets going. This is a great power supply. It doesn't make a lot of noise. It is small and can easily fit into a mid-tower case. Most of the power connectors are modular (except for the 8 and 24-pin) and the power cords are flat, so cable management is pretty easy. 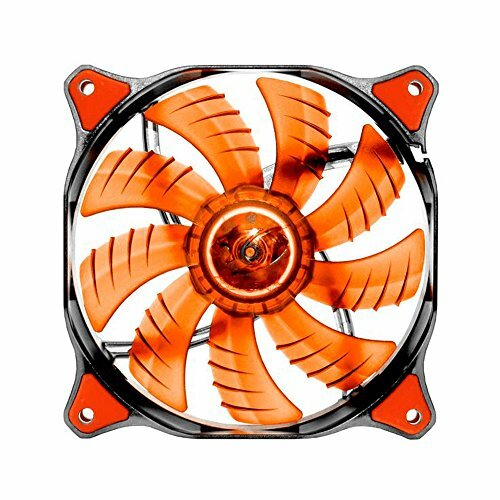 A pretty good 120mm fan, though I wouldn't choose it as my only fan. Despite the LEPA site listing its speed at 900rpm, mine runs noiselessly at a little over 1010 at the bottom of my case, adding some movement and interest inside , as it also reflects light underneath it. However, you can't mess with the speed on this fan. If it runs at anything less than 100%, the LED dims then shuts off. i'm planning to build X99 platform with FirePro W7100 for video editing , rendering , photo editing , artwork & etc ... does FirePro W7XXX series can handle task as i explained above ??! .. Thank you for your greetings from Indonesia! Though, I still need to test it out on a 4K display. Sometimes it runs a little hotter than I am comfortable with. I would suggest downloading a program like Open Hardware Monitor to keep track of the card's temperature, so you can turn up the fan if needed when running demanding tasks. So far, I've mostly used this computer handling very high DPI, sometimes banner sized, images. When working with these files on other computers, some with technically “superior” specs Nvidia GeForce cards, the screen would freeze up, or the image would break up, and I'd get weird artifacts. You can CrossFire the W5000, W7000, W8000, and W9000 with the cable provided in the box with the card. However, I would check your motherboard to find out which are the fastest PCIe x 16 card slots, and, depending on where you will need to install the cards, you might want a longer cable. You can only CrossFire a FirePro card with the exact same kind of FirePro card (i.e., a W7000 will only work with another W7000). I haven't worked with the W5100, W7100, W8100, or W9100 FirePro cards, but I believe they use XDMA CrossFire, which doesn't need a cable, but instead connects through the PCIe Bus. It's supposed to give you a better frame rate . To CrossFire these cards, you turn on CrossFire in your Catalyst Control Center software. And, I think it only works on PCIe 2.0 x16 slots running at 16, or PCIe 3.0 x8 and x16. If you try it out, let me know how good it is. I can say that in my case, the card is working great with a consumer CPU and non ECC RAM. Although, it would probably work even better in some programs if I had a PCIe 3.0 x16 slot, rather than a PCIe 2.0 x 16 slot. But, a video card is just one piece of a computer, which will use multiple resources when completing tasks. The processor's architecture, speed, and number of cores; combined with the amount and speed of your RAM; matched with the speed of your hard drive; and the speed of all the connections your motherboard offers, will affect your system's overall performance. In addition, the specific program you use will perform better or worse depending on the availability on your system of the specific resources it requires. I've seen many professional workstations which use consumer grade CPUs and non ECC RAM, and there are Xeon processors that can operate with non ECC RAM. ECC RAM should actually give you a slight drop in performance, in exchange for more reliability. However, in most cases, I don't think you would notice at all. The FirePro card itself would not work any better, or any worse; but, to a certain extent, I think just about any computational task might work "better" on a machine with dual Xeon processors and a ton of RAM. Though, it might not be necessary -- and the expense to possible return could be prohibitive. love it, hows the w7000 with games, since it being a workstation card i'd expect to be pretty good. What a great user name, GruntGundam! The machine is so new I've not done much gaming yet. The most the VC has been taxed was when I was concurrently working Photoshop and Illustrator, had a 3d blu-ray running while streaming a separate 1080p vid, and got the itch to play Titanfall. I didn't have any problems or lags and the card was drawing under 100 watts. I haven't noticed any problems when turning up all the settings on the game. And, I haven't seen any problems, glitches, or errors in any applications (even when running everything together). hey how does that 32 gigs of ram work over just 16? would it makes a difference for you? At my workplace, where I'm using a 3rd generation i7 with four sticks of 4GB Kingston HX DDR3 1600 RAM, with programs running from a 250GB Samsung 840 SSD, and a 1TB 5400RPM WD Red HDD for storage; that computer routinely slows down when loading large files, and I have to close programs to keep other programs running smoothly, and I routinely receive “scratch disks are full” error messages. So, for my computer at home, I decided to go with 32 gigs of RAM, with an additional larger SSD to save and load large files from, and more storage drives that run at 7200RPM. Even if it's overkill, now I load those same files even with additional files, and run multiple programs at the same time, with no problems. Also, I noticed a lot of the newer sticks of the PNY XLR8 1866 RAM were listed at CL10 instead of CL9, and I didn't want to run into any problems with mismatched latency timings if I found I needed to upgrade. Oh ok thank you. I really need a clear answer from someone. Haha but ya i plan on building my own pc for the first time. I have all the parts ready to go i just need the money from a few select people in about 2 months. I was always coming to the thought of weather i need 16g or 32g for what i planned on doing for my new computer (gaming and hopefully video editing). But anyway enough about me, thank you for your feed back! Interesting build. I have the same Motherboard, CPU, and LEPA cooler, and I can't fit all four RAM sticks in because the cooler covers one of the DIMM slots. I did not have this problem... If you look at photos 11 and 13 of my build, you can tell that the tubes are next to the DIMM slots, but they aren't covering any of them. It is hard to know what to say without seeing the problem. Be sure you are using the correct cooler mounting for your processor. What part of the cooler is covering the DIMM slots? If it is the tubes coming from the pump, you might need to adjust how, and/or where you are installing the cooler's radiator to change the curvature of the tubes. 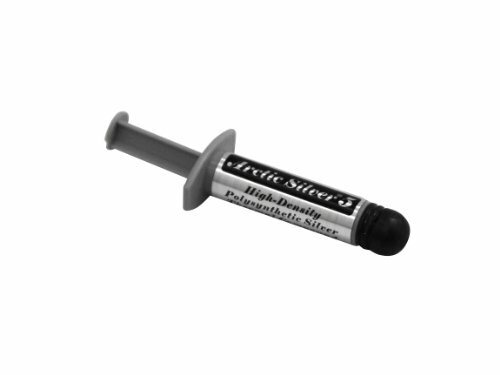 If it is just tight, you might try installing the RAM sticks before the cooler, changing the heat spreaders on your RAM, or using RAM with smaller heat spreaders.